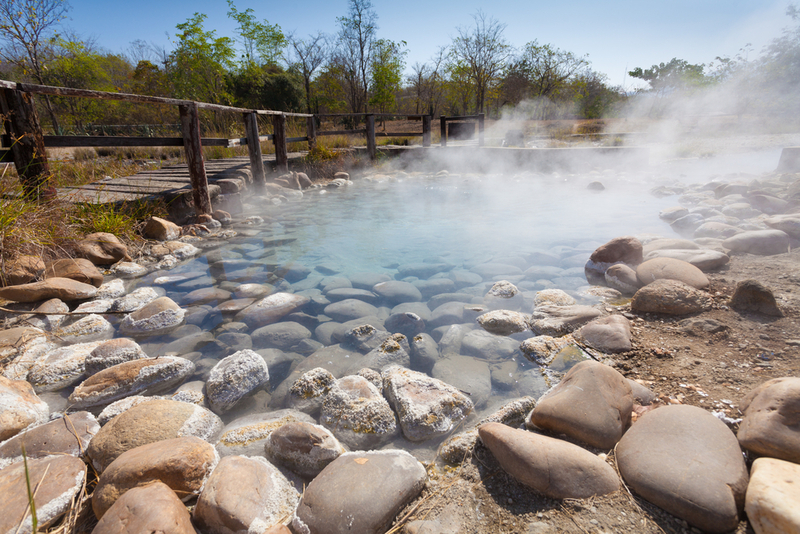 The thermal baths are located in Machalí, 31km east of Rancagua, near to Reserva Nacional Río Los Cipreses. They sit at 760m above sea level and the water temperature varies between 42º and 48º C. The waters contain chlorine, magnesium, potassium, lithium and bicarbonate, amongst other minerals, perfect for treating rheumatic and arthritic conditions as well as skin and breathing disorders. There are good facilities including swimming pools and individual baths, as well as treatments, such as, reflexology and massage on offer. There are also conference facilities available. The international cuisine is excellent. Other activities to do include walking, bird watching and photography. Buses leave from the bus station in Rancagua (Platform 8), next to the market. The thermal baths are open to the public all year round.